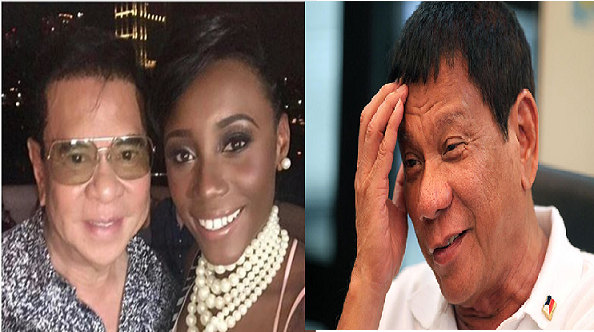 I recently wrote an article about her on the candidate with a least number of suitcases, now she has gone viral on social media after she has mistaken the man behind the 65th Miss Universe pageant in the Philippines Chavit Singson for Philippine President Rodrigo Duterte. 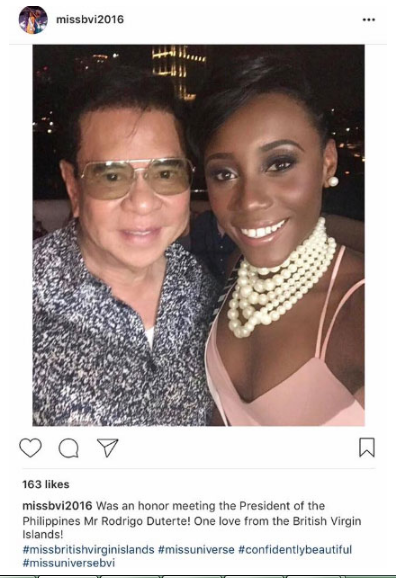 Miss British Virgin Islands Erika Creque posted an instagram photo with Mr. Chavit and captioned it as "Was an honor meeting the President of the Philippines Mr Rodrigo Duterte! One love from the British Virgin Islands!" 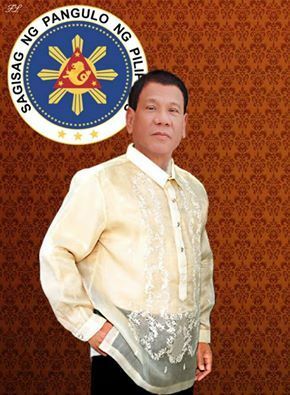 But the lovely candidate immediately corrected her caption after her followers responded to her post telling that the man in the photo is actually former Ilocos Sur Governor and now Narvacan, Ilocos Sur Councilor Chavit Singson. He is also one of the partners of the 65th Miss Universe pageant in the Philippines. 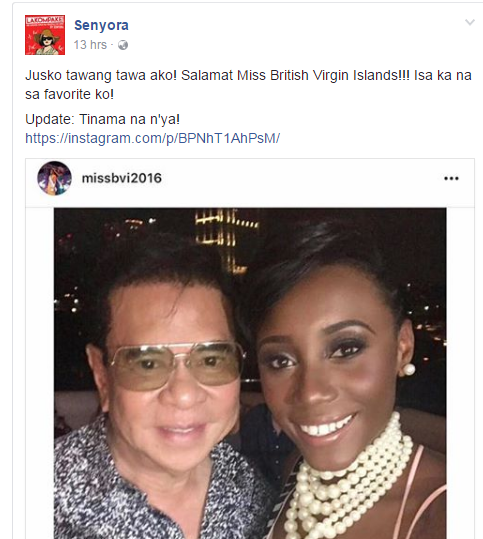 Miss British Virgin Islands received lots of love and positive applause from Filipino netizens after the post has been shared across the social media who were entertained by her caption.